Gabrielle Union had a baby girl via surrogate and it's confusing some fans. An actress's birth photo is confusing fans. But here's what they don't understand. Actress Gabrielle Union welcomed her first child via surrogate. But her announcement on Friday left some fans utterly confused. 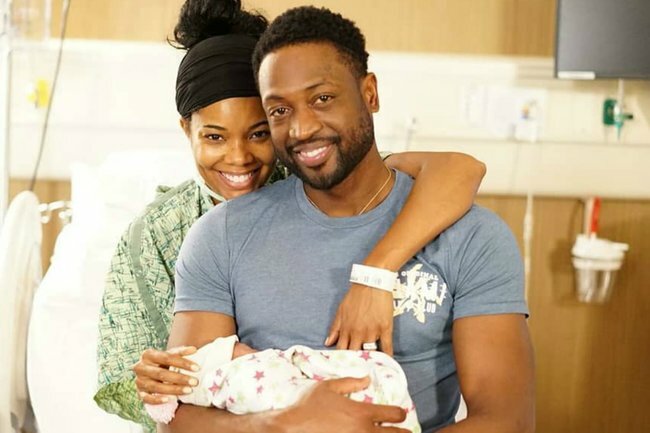 In a photo shared on People magazine’s Instagram, the 46-year-old first-time mum was dressed in a hospital gown, smiling, as her husband Dwyane Wade held their daughter after her birth on Wednesday. It’s a sweet image of brand new parents and their tiny bundled-up baby. But among the congratulations and best wishes, some commenters couldn’t quite get their heads around why the Bring It On star was in a hospital gown. “Why the hospital gown and bracelet??? ?” asked one. “Why is she dressed like she had a baby?” queried another. Thankfully, fans were quick to school those who were in the dark about post-birth best practice. Others suggested that the hospital gown was sterile and that she may have been asked to change into it if she wanted to be present while the baby was delivered via c-section – which in this case, isn’t clear. Either way – as some fans rightly pointed out – it’s absolutely no one’s business why she’s in a gown and the far more polite thing to do would be to say “congratulations” and move on. Skin-to-skin contact – that is when the unwrapped baby is placed on a bare chest – immediately after birth has been shown in recent studies to have both physical and mental benefits for the newborn, parents, and to their bonding. Kim Kardashian was reportedly the first person to hold her youngest daughter Chicago when she was delivered via surrogate in January. Over on Gabrielle’s personal Instagram page, she posted more photos of herself and her daughter, and also suggested the reason she was in a hospital gown was for skin-to-skin contact. “A lovely day. We are sleepless and delirious but so excited to share that our miracle baby arrived last night via surrogate and [7 November] will forever be etched in our hearts as the most loveliest of all the lovely days. Welcome to the party sweet girl! #onelastdance #skintoskin” she captioned the image, along with lyrics from the song Lovely Day by Bill Withers. 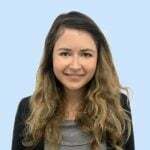 The 10 Things I Hate About You actress has previously spoken about her painful journey to motherhood, which included more than eight miscarriages. In her 2017 memoir, We’re Going to Need More Wine, she wrote about suffering multiple miscarriages and struggling to conceive via IVF, writing that for three years she felt like her body had become a “prisoner of trying to get pregnant”.